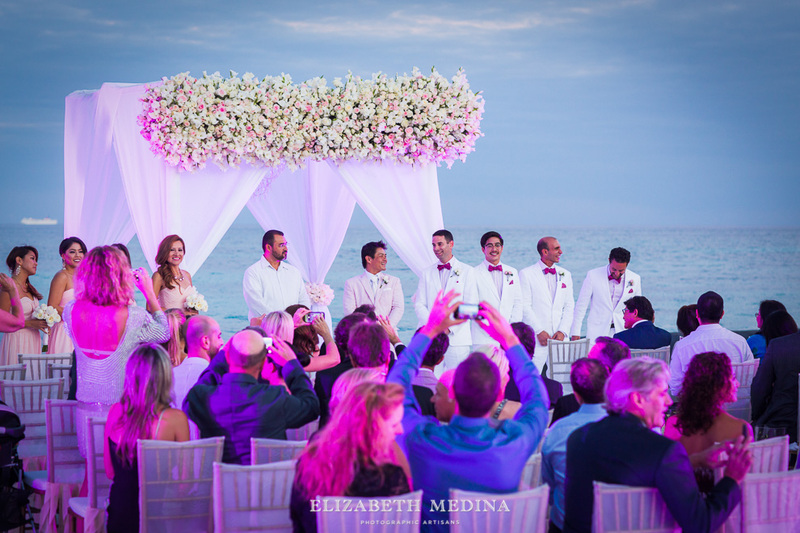 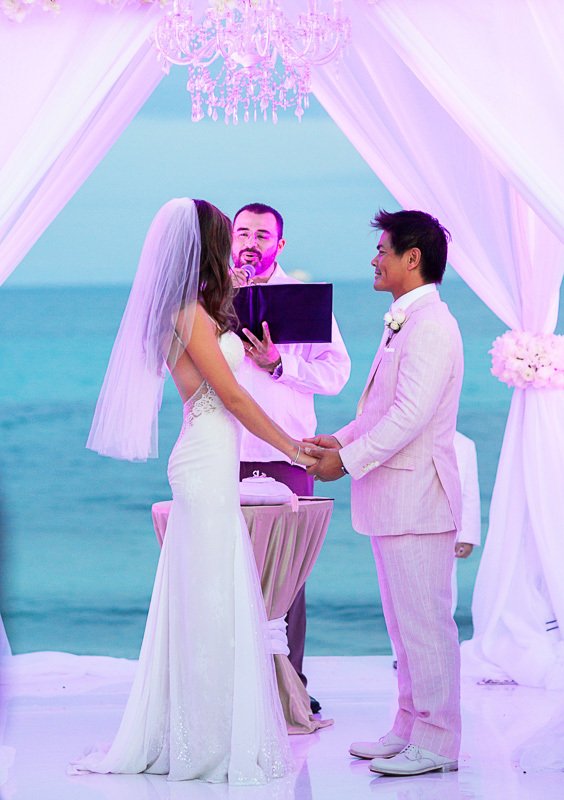 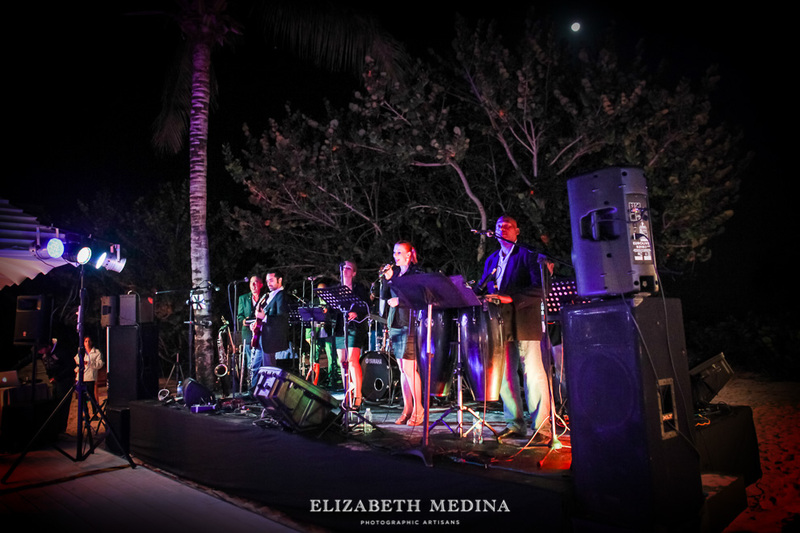 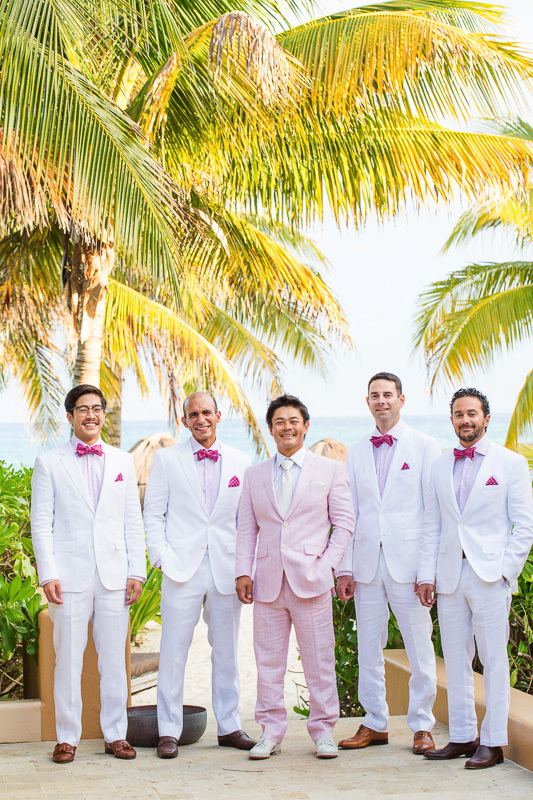 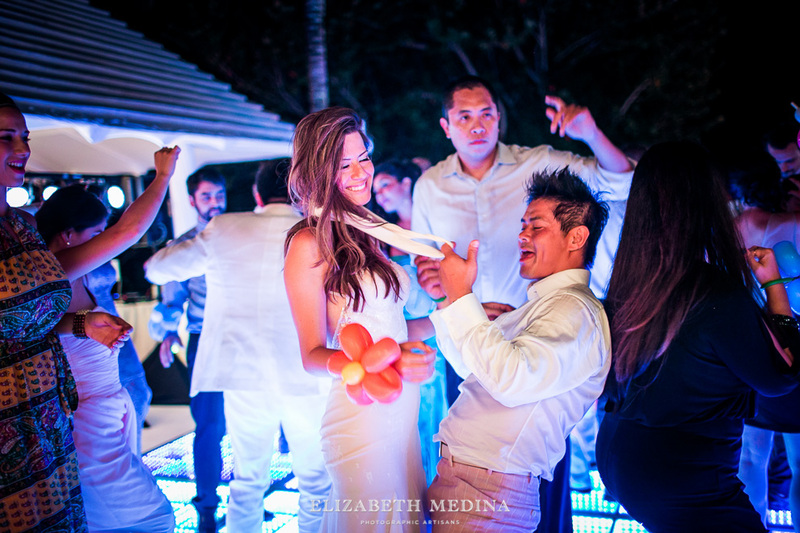 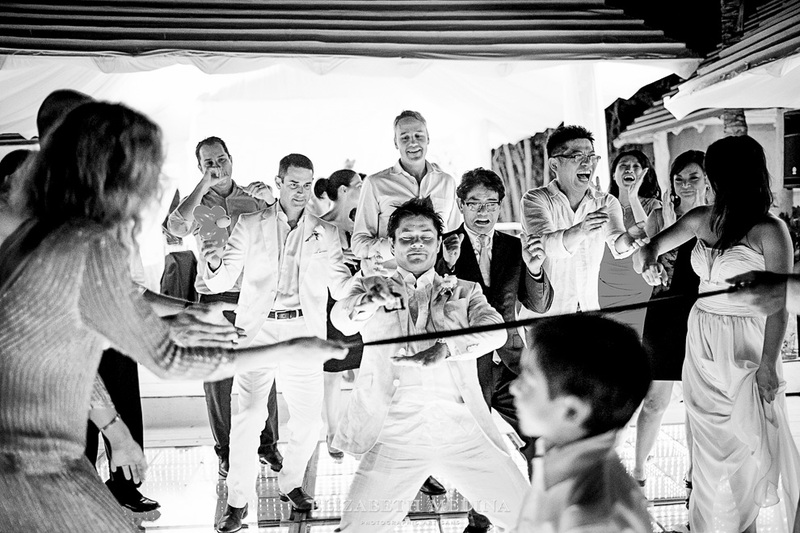 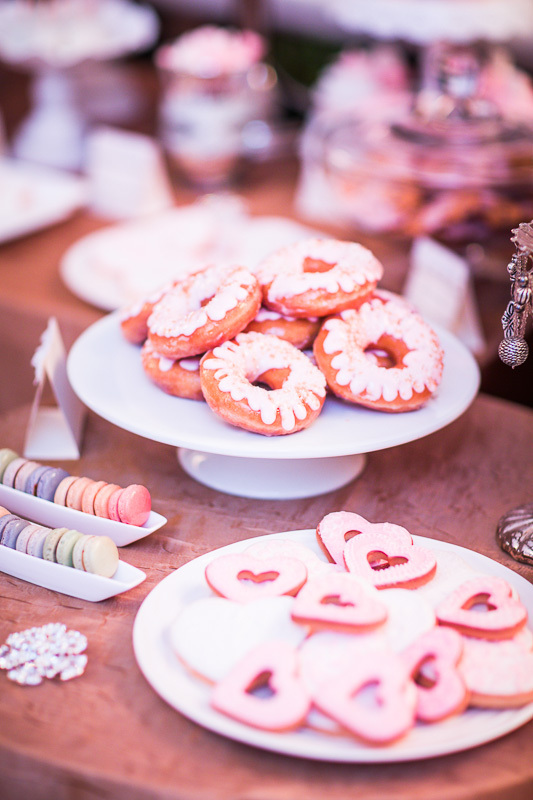 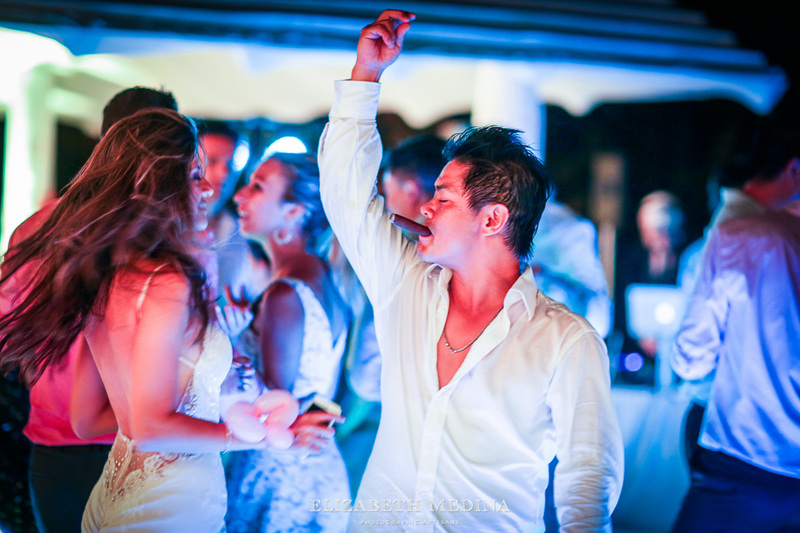 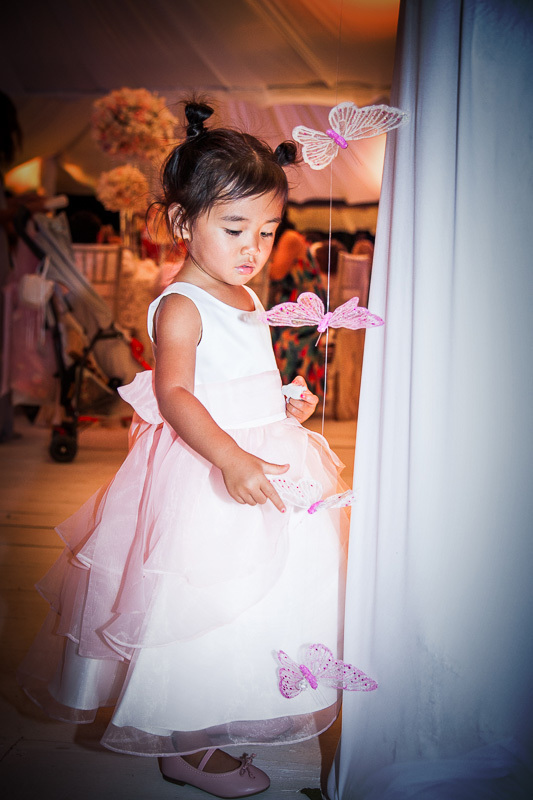 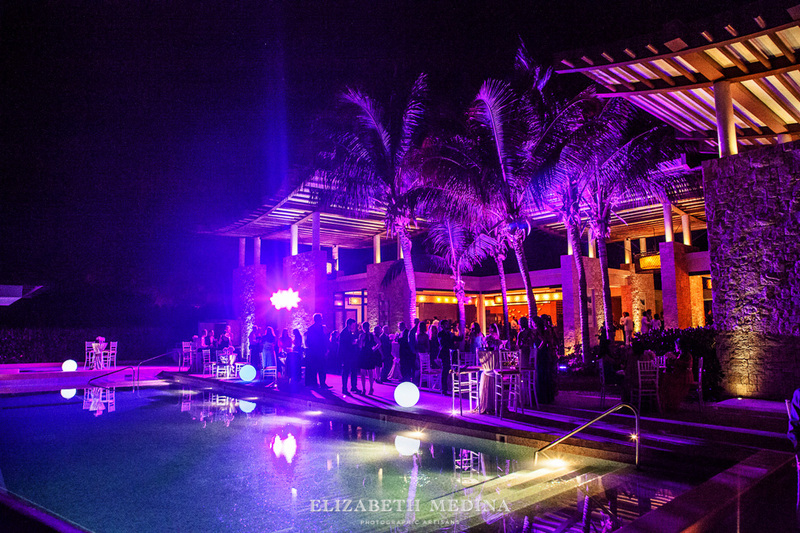 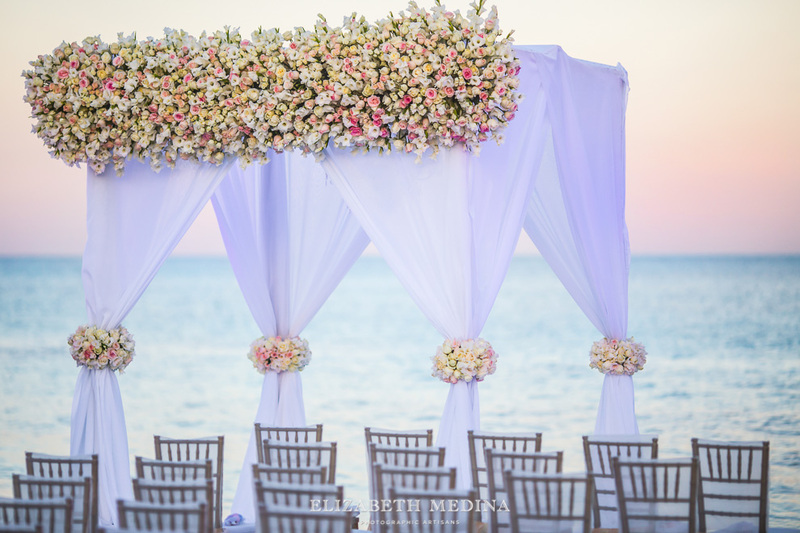 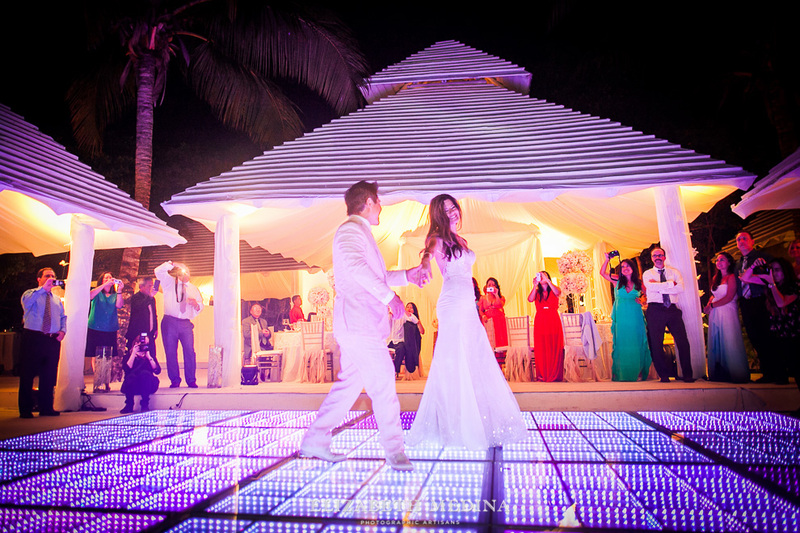 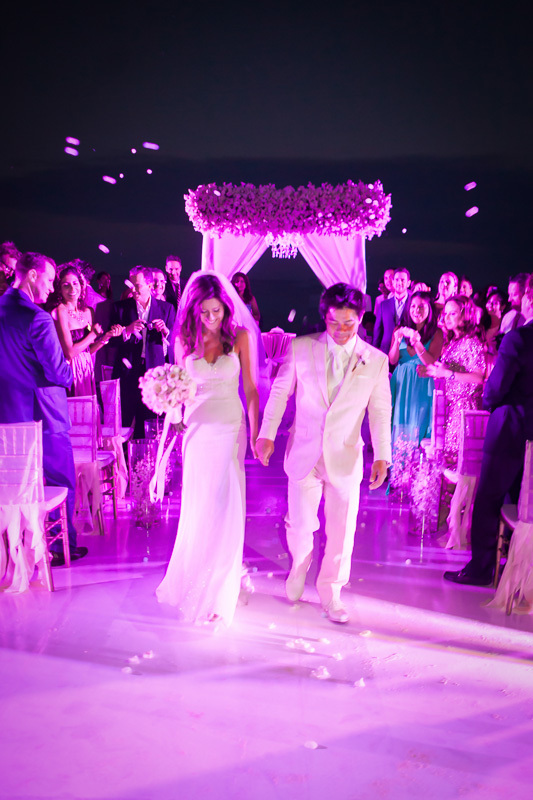 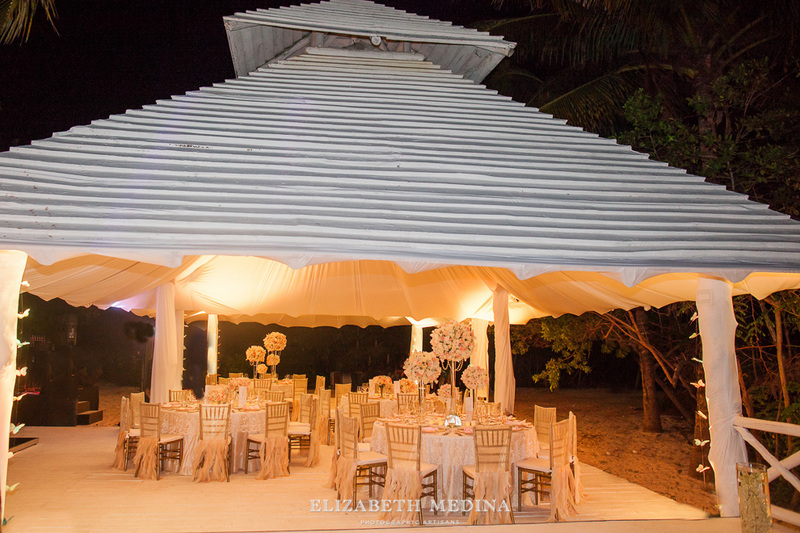 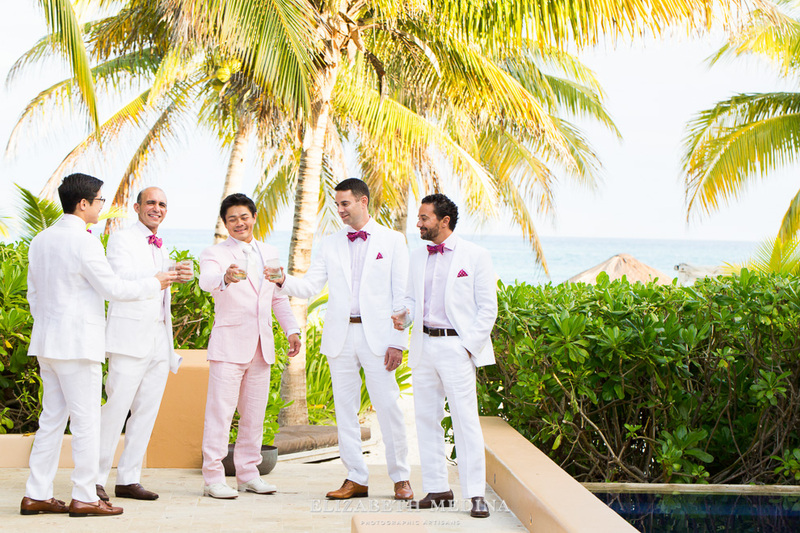 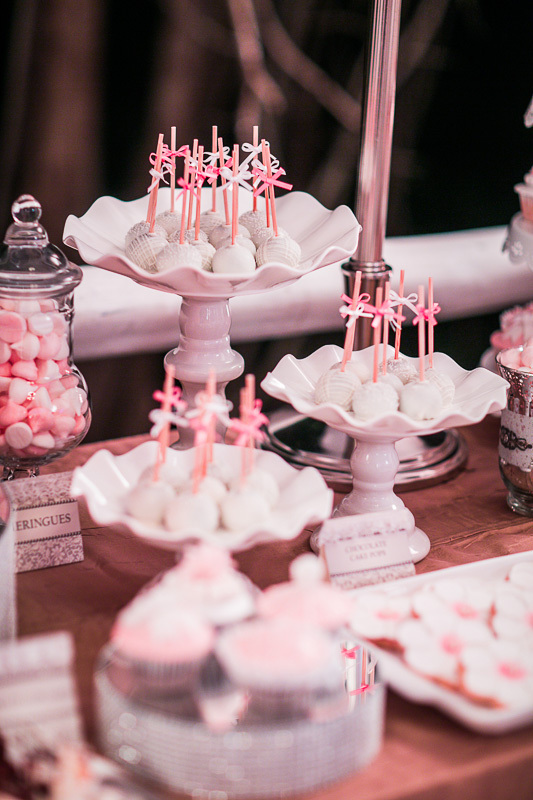 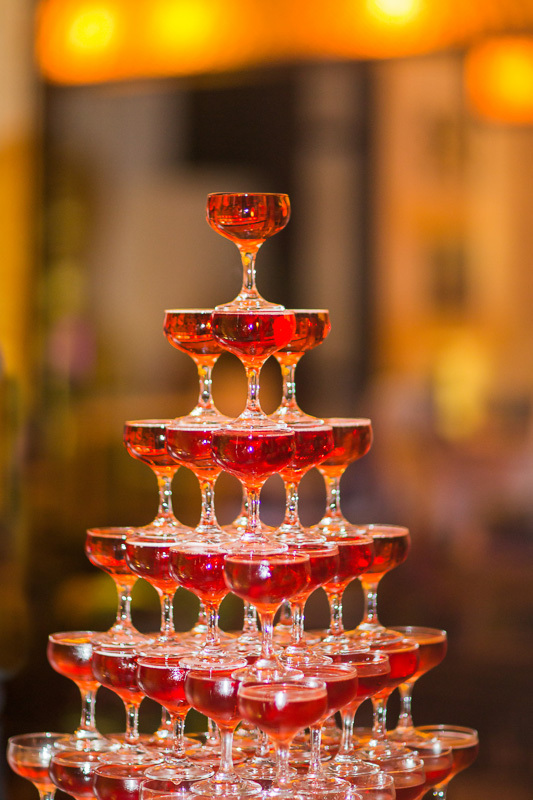 This Banyan Teee Mayakoba beach wedding was a beautiful event, and an amazing party! 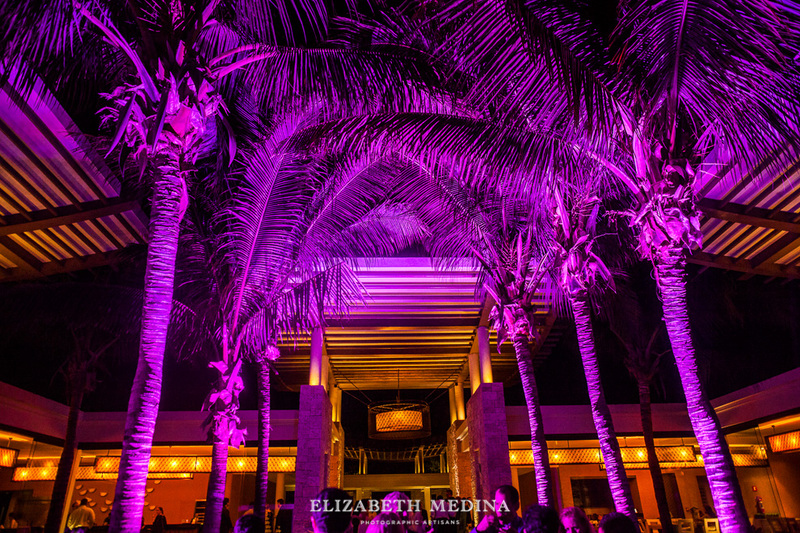 I hope you will have time to scroll all the way down to get a glimpse of the lovely couple’s portraits on the grounds of the Banyan Tree, the amazing nighttime ceremony on the beach and the beautifully detailed reception at MK BLUE. 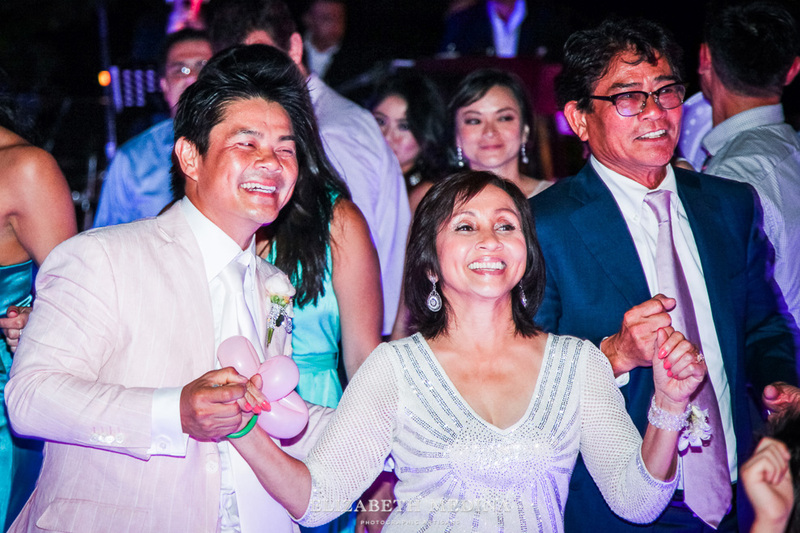 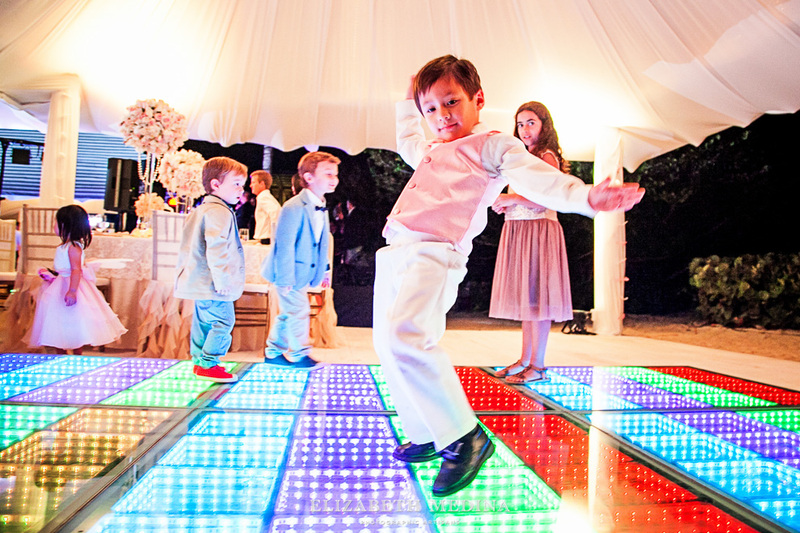 What a fantastic time that Marcia and Vy had with their friends and family on the dance floor! 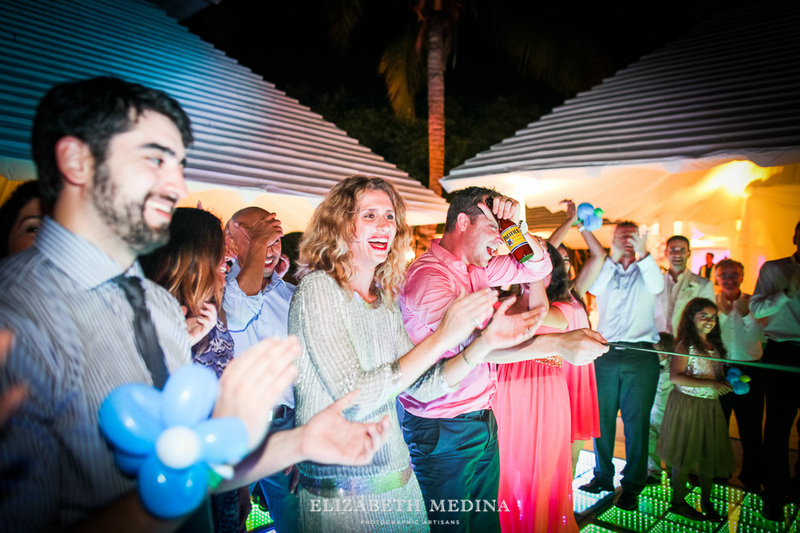 I love how the party photos capture the celebration. 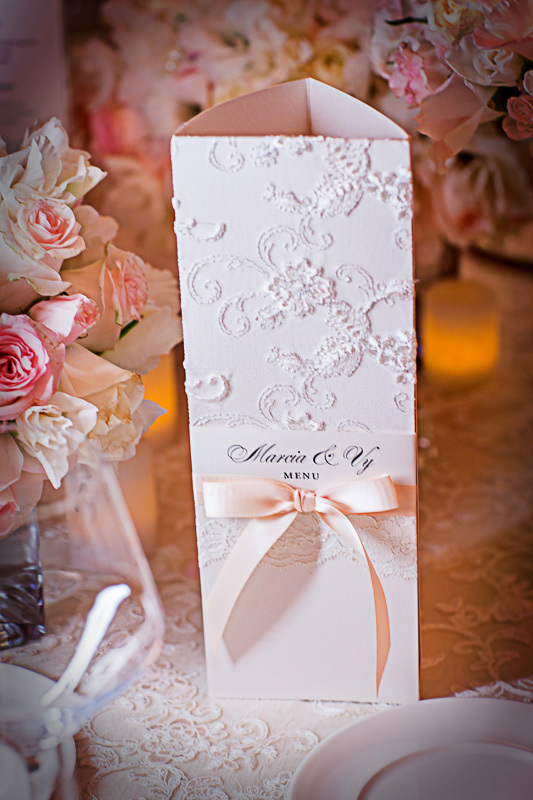 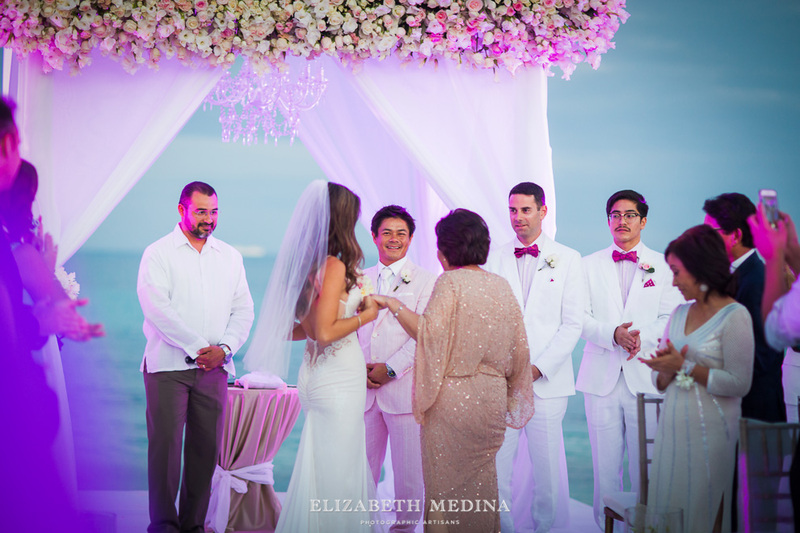 This lovely wedding and the welcome dinner the evening before were coordinated by local wedding planner Denise Courtney for Eventos Euforia. 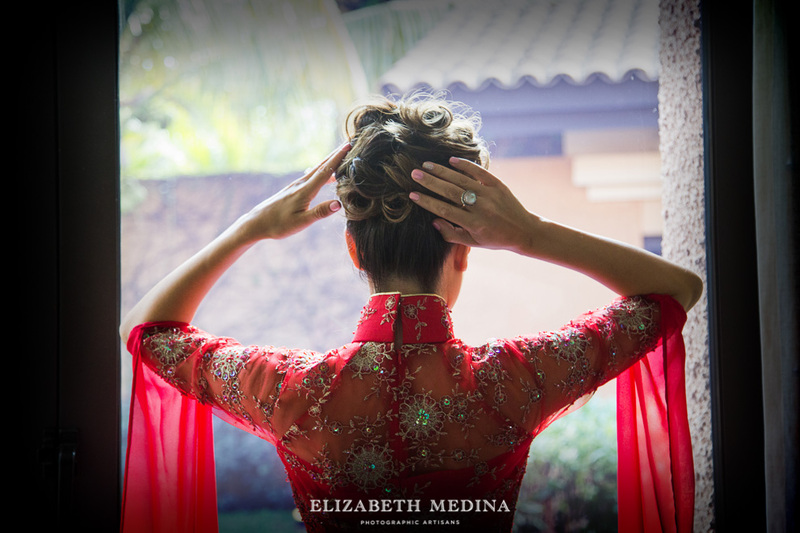 Before the photos from the wedding day itself I had to share a few images from Marcia and Vy’s Vietnamese wedding the evening prior. 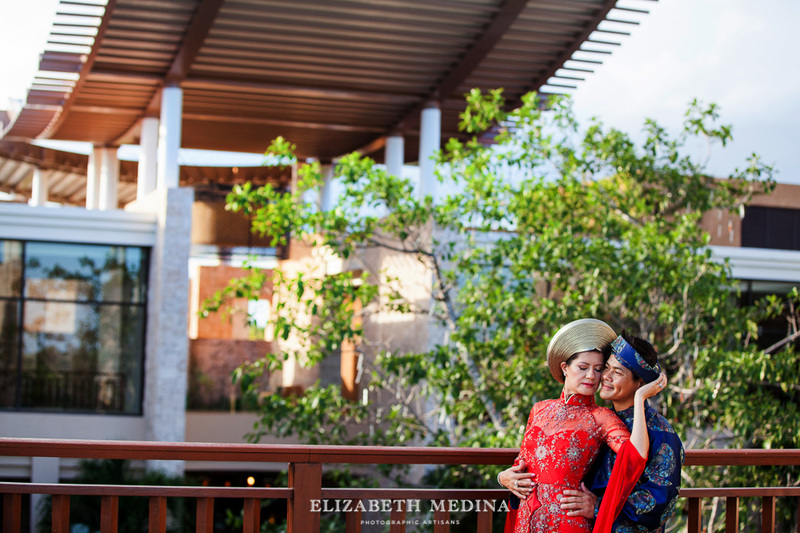 I loved how the red Vietnames wedding dress and blue Vietnamese groom attire looked against the backdrop of the Banyan Tree Mayakoba. 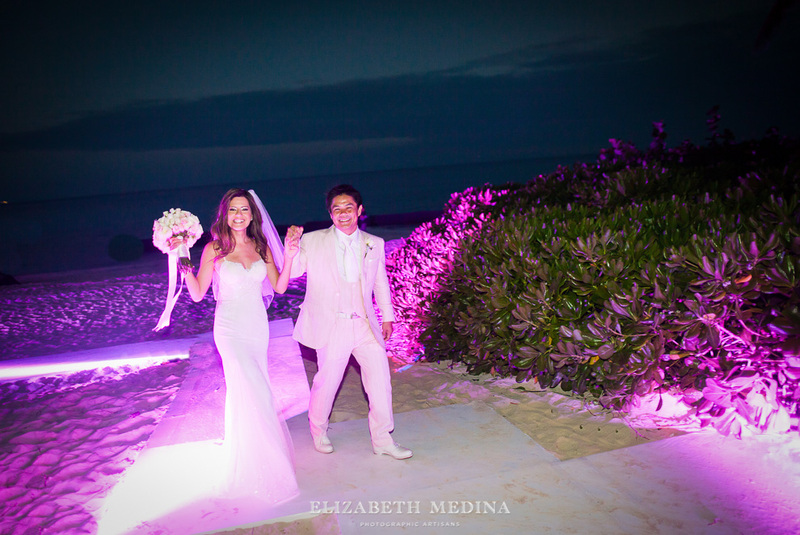 The wedding was held at the amazing Banyan Tree Mayakoba in Playa del Carmen, Mexico and the welcome dinner at the underground cenote of the Alux restaurant in Playa del Carmen. 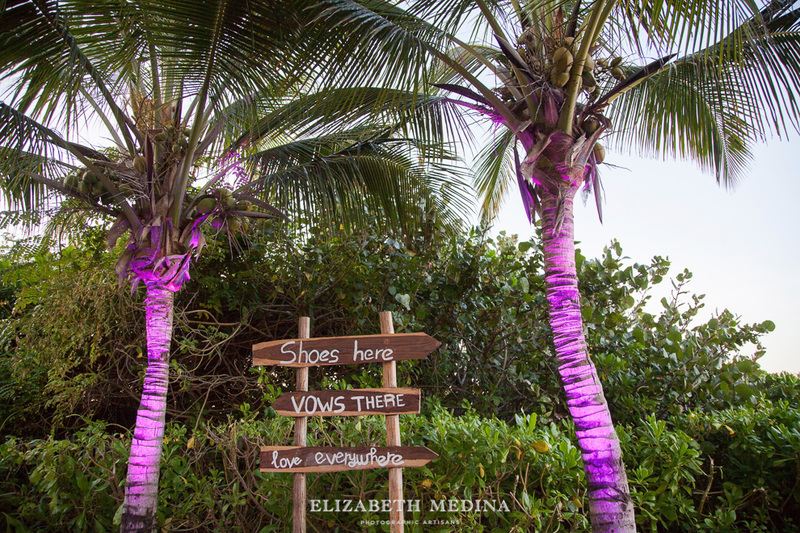 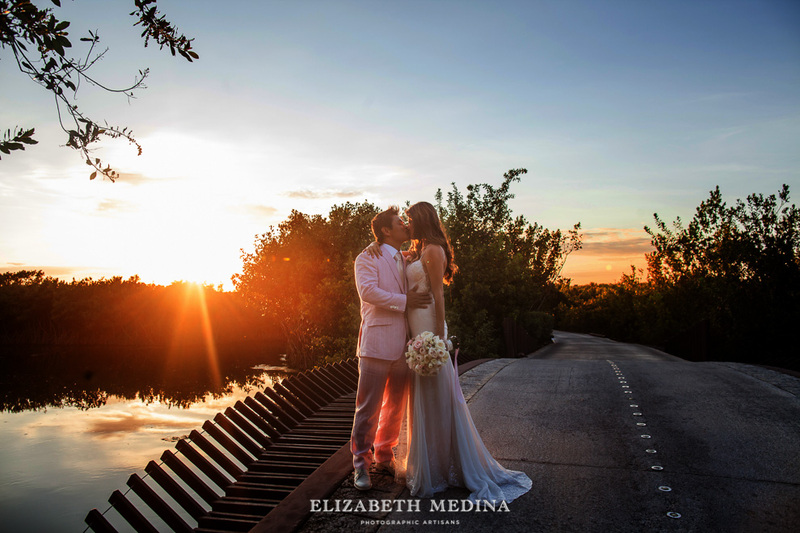 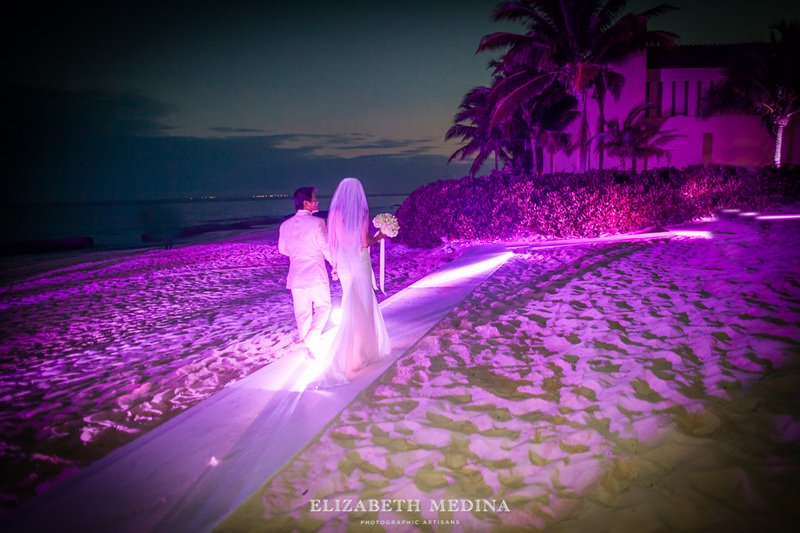 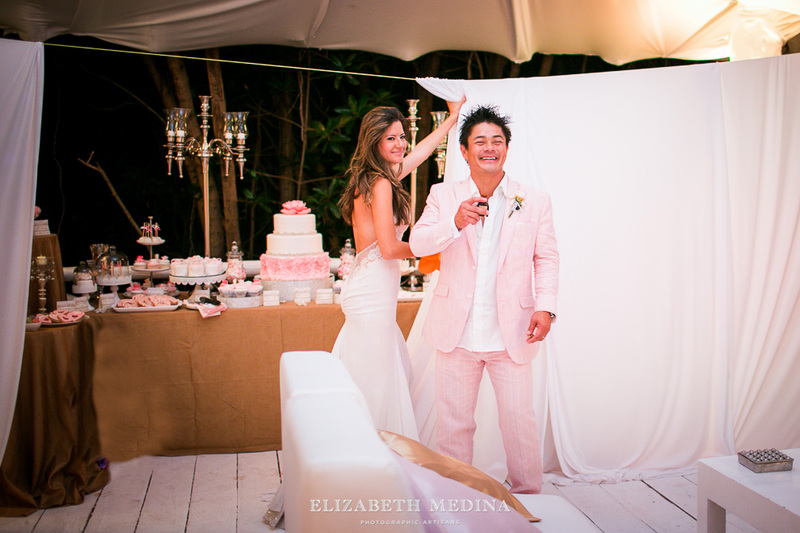 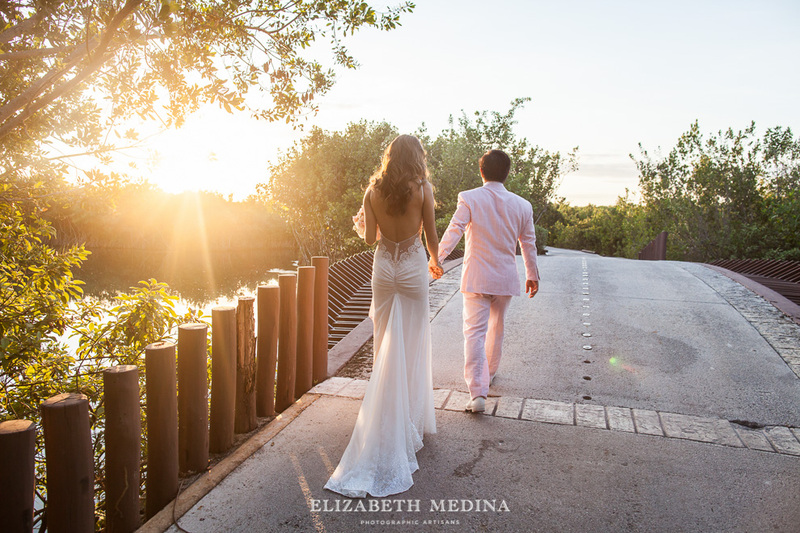 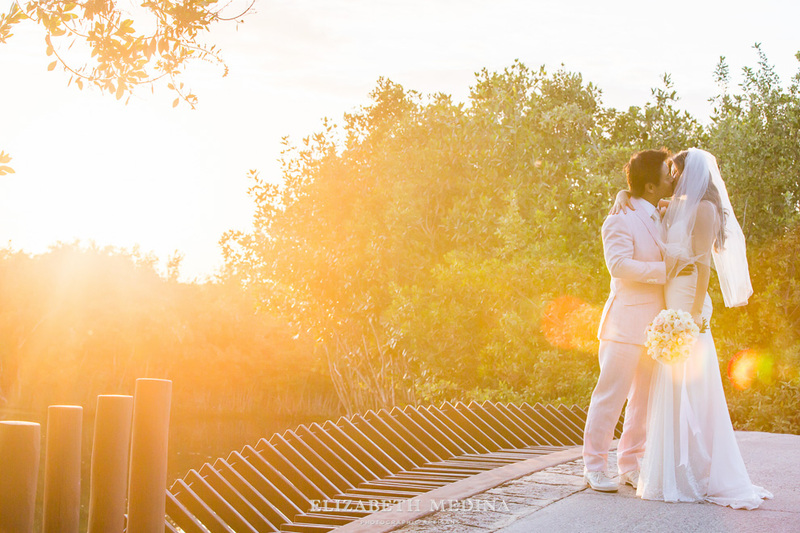 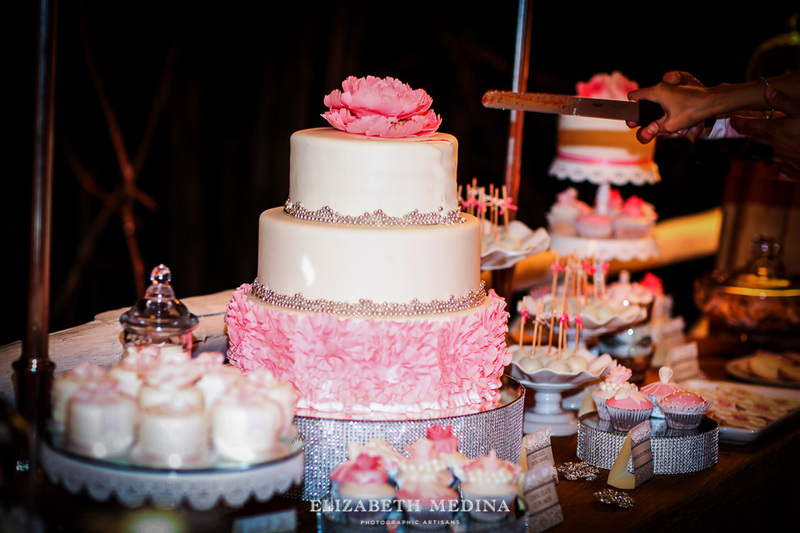 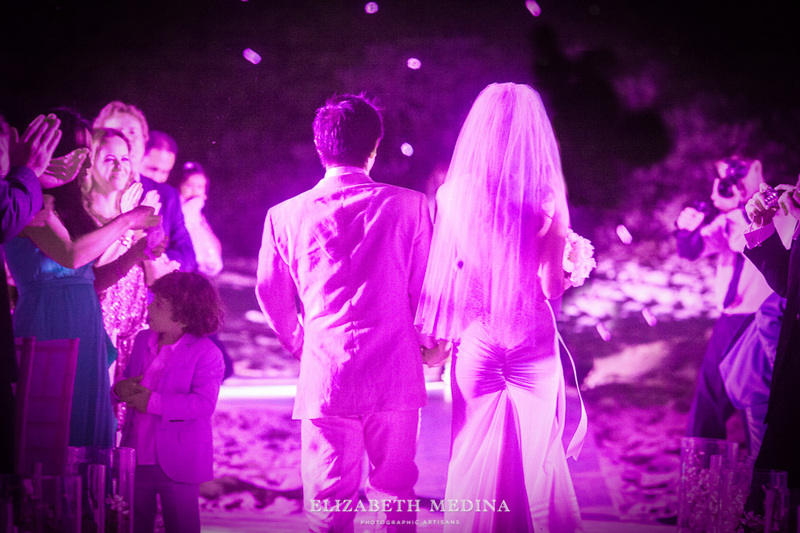 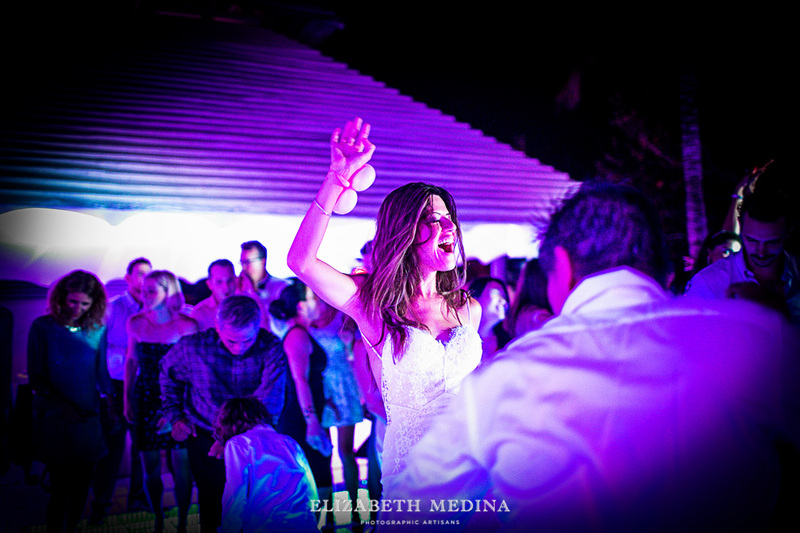 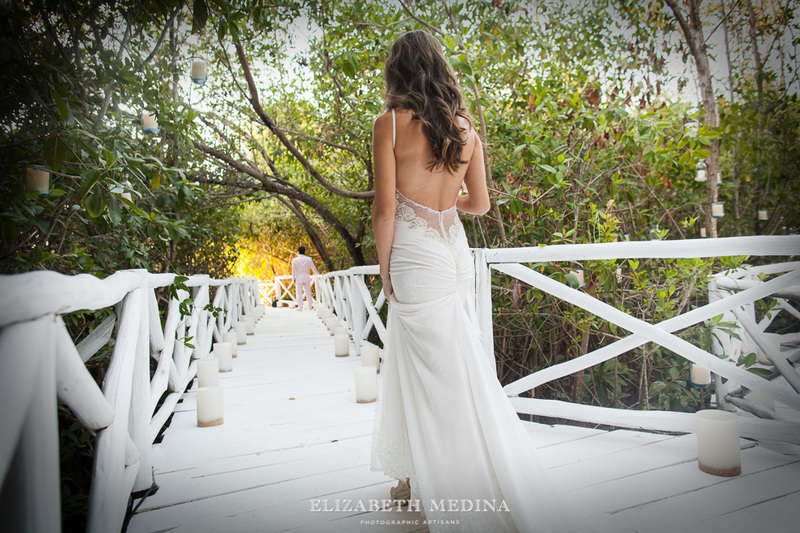 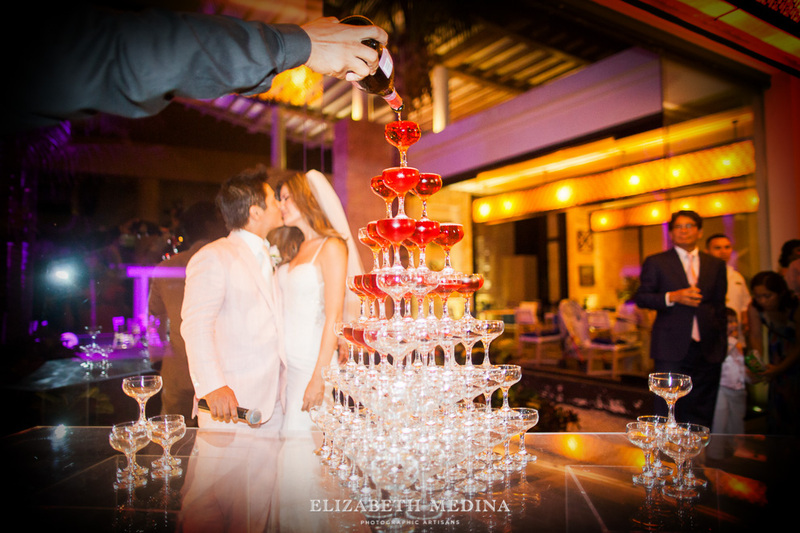 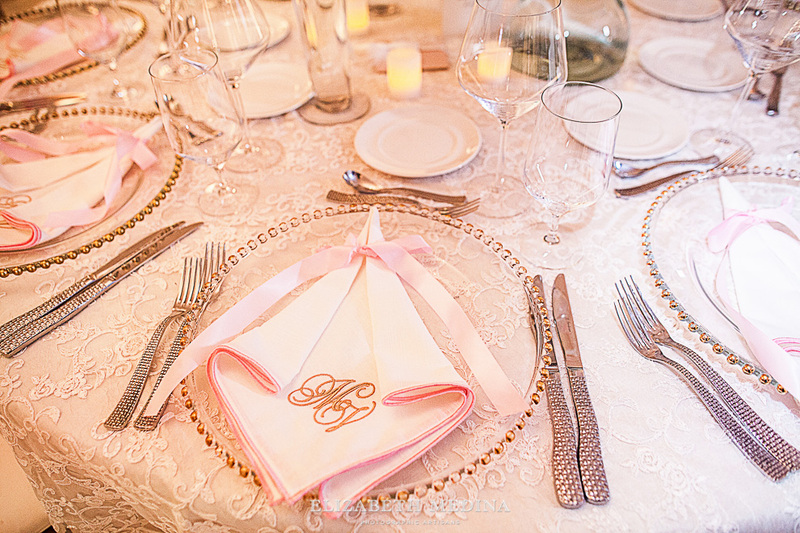 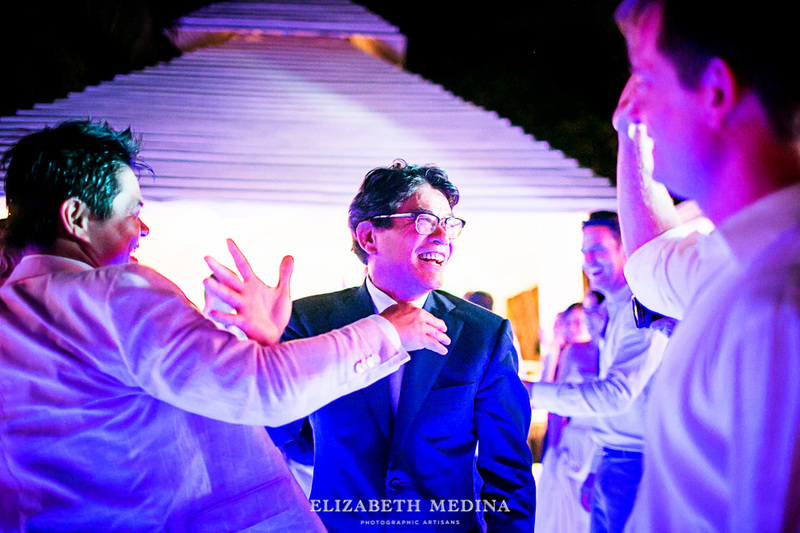 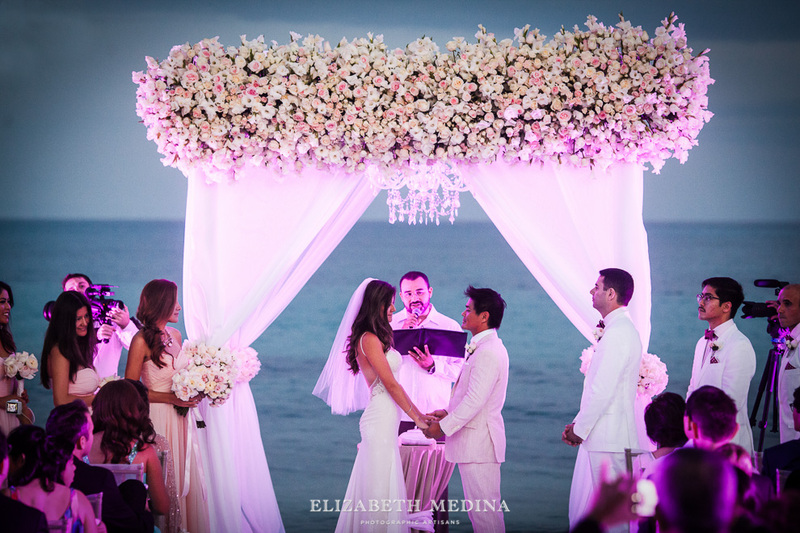 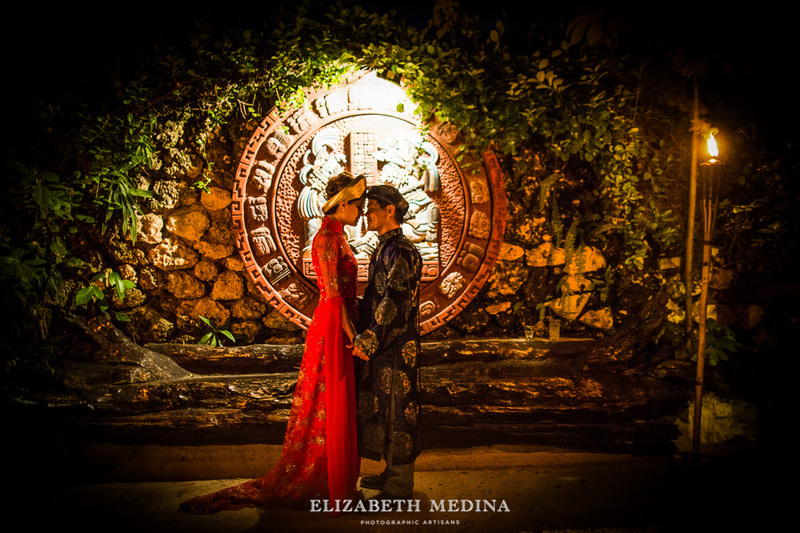 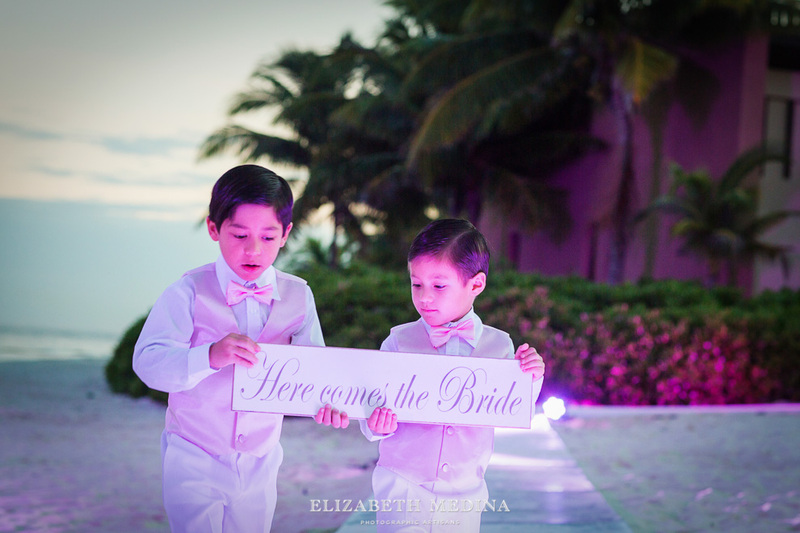 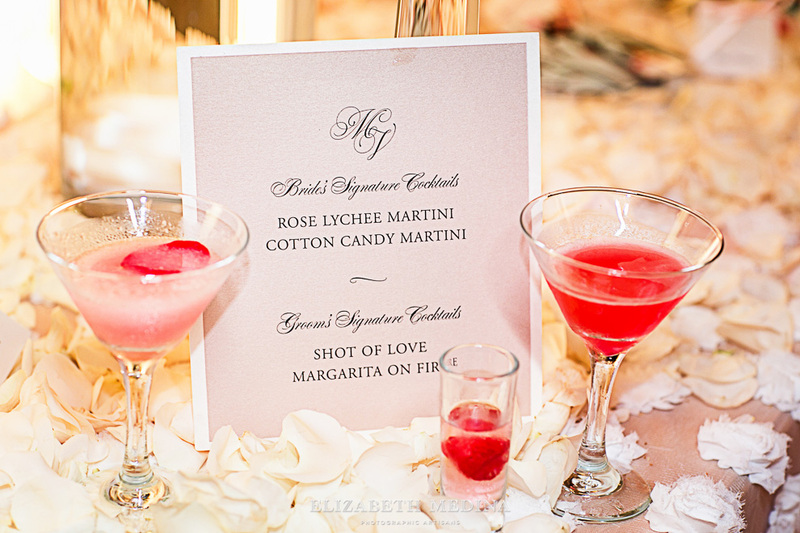 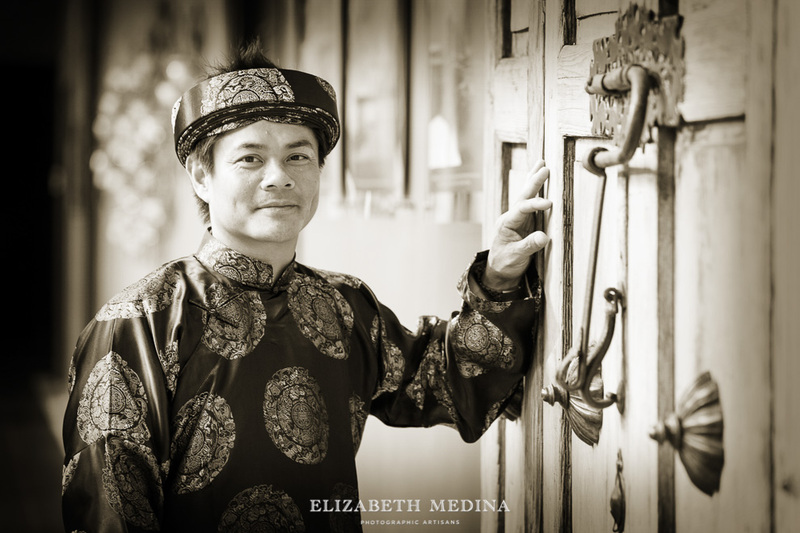 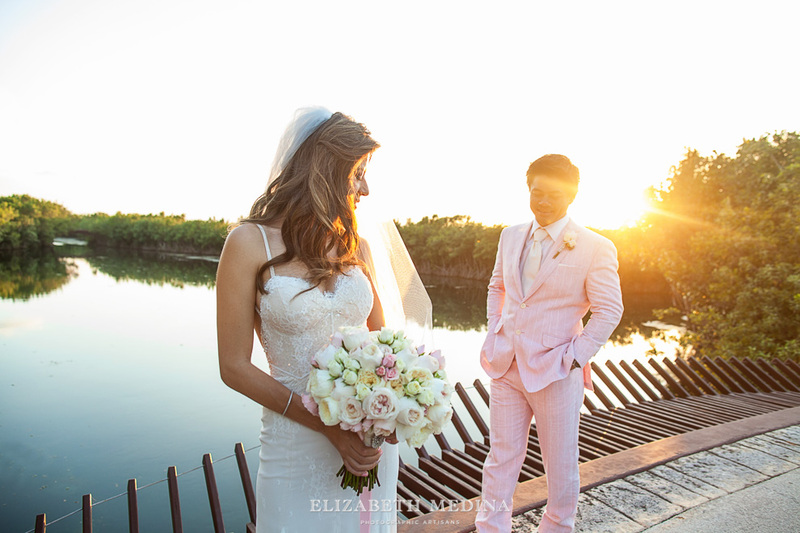 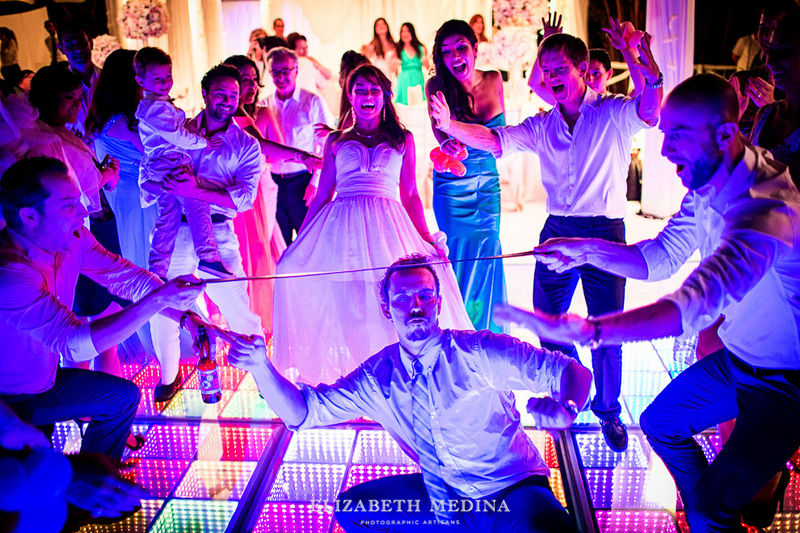 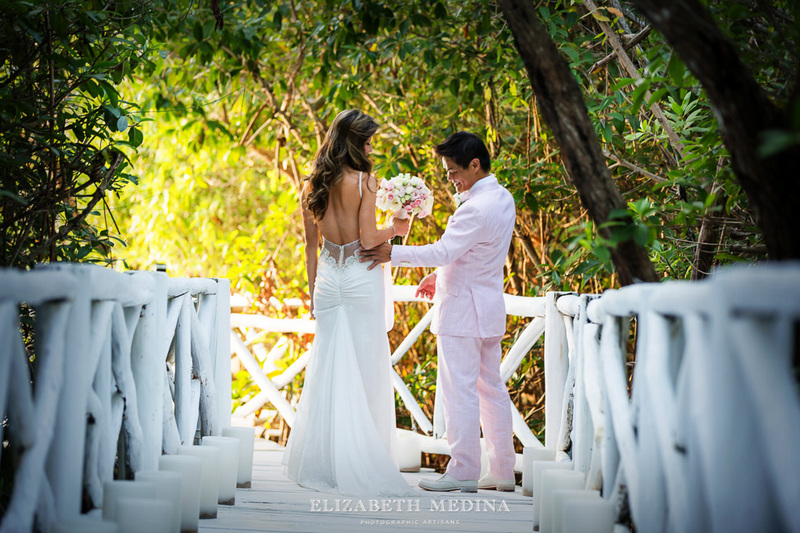 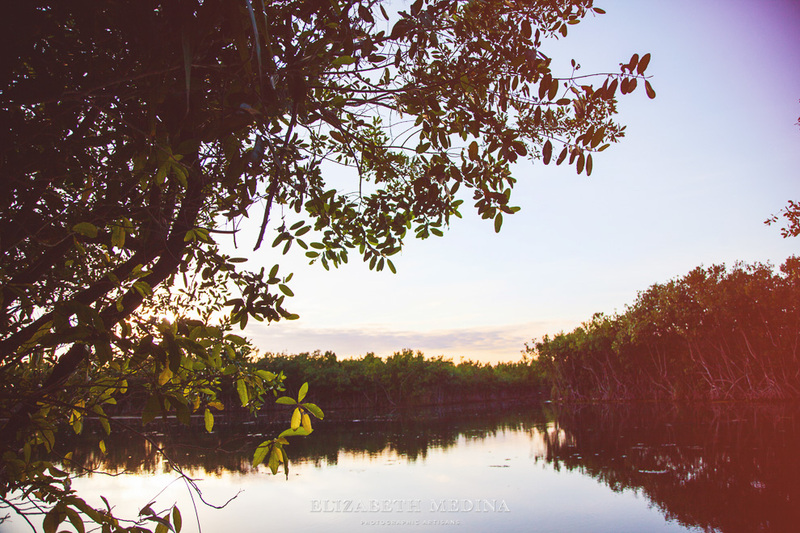 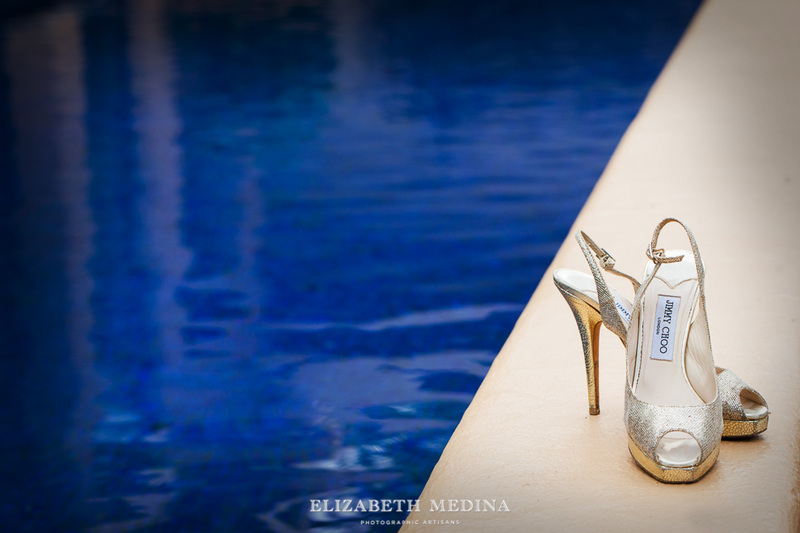 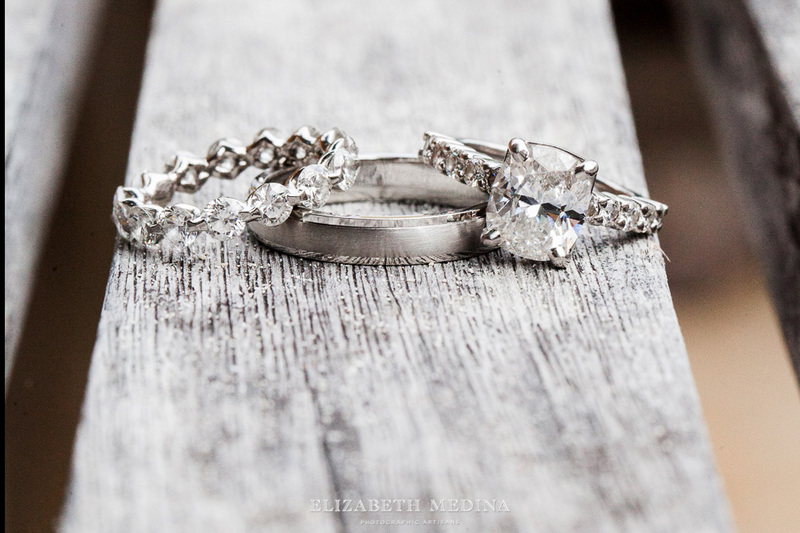 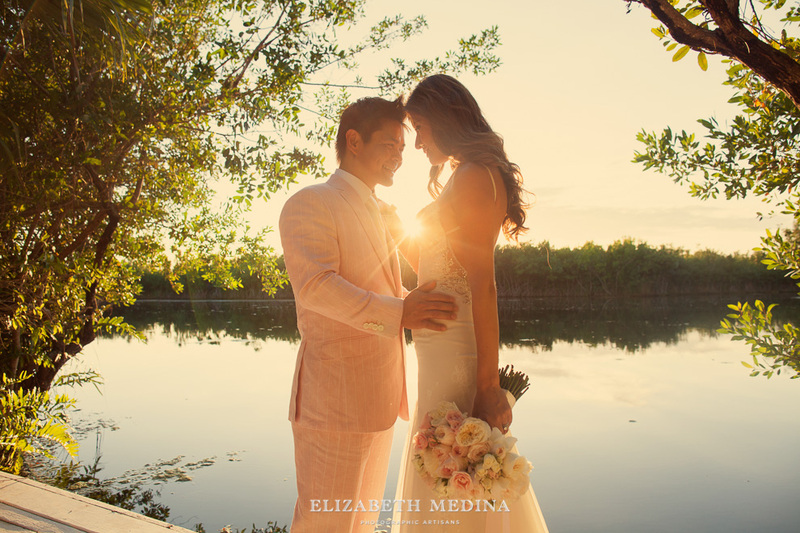 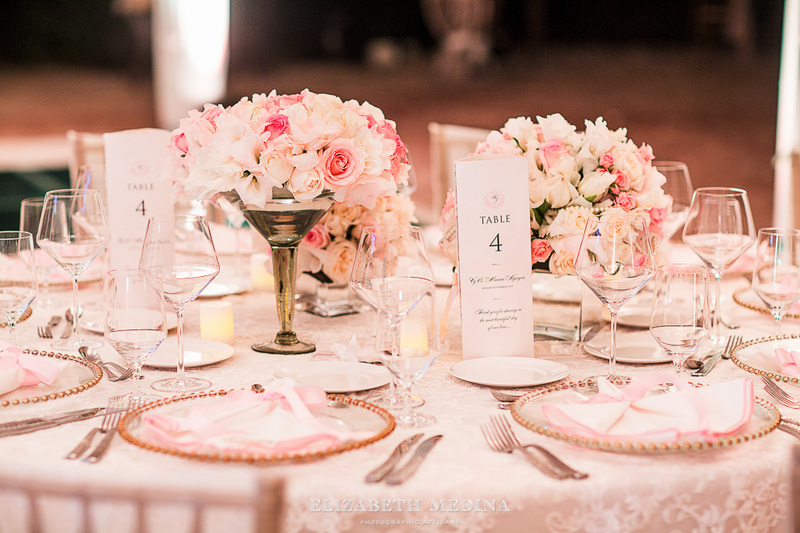 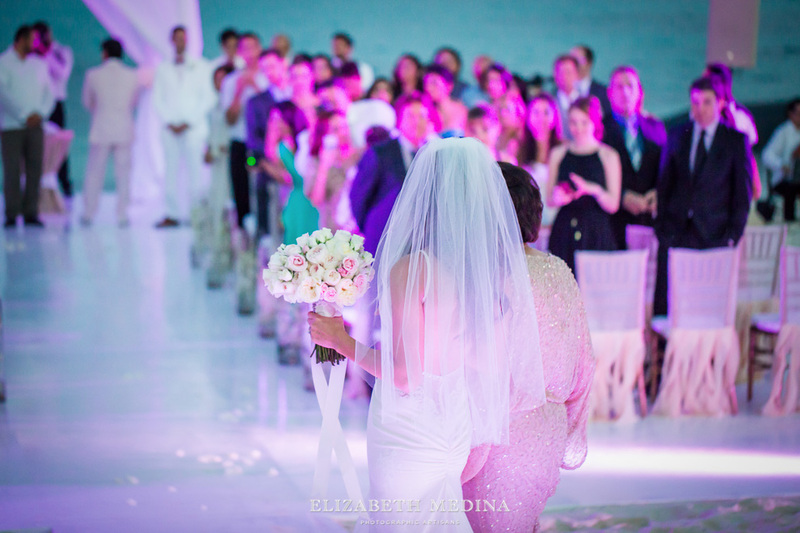 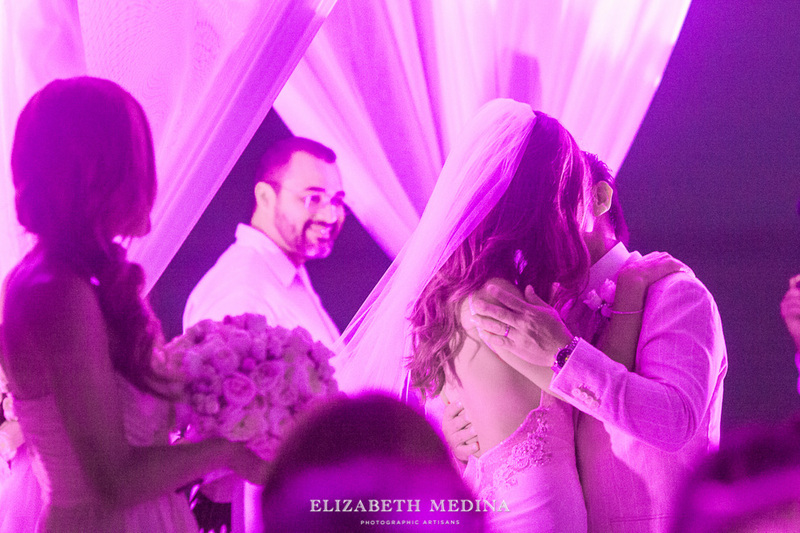 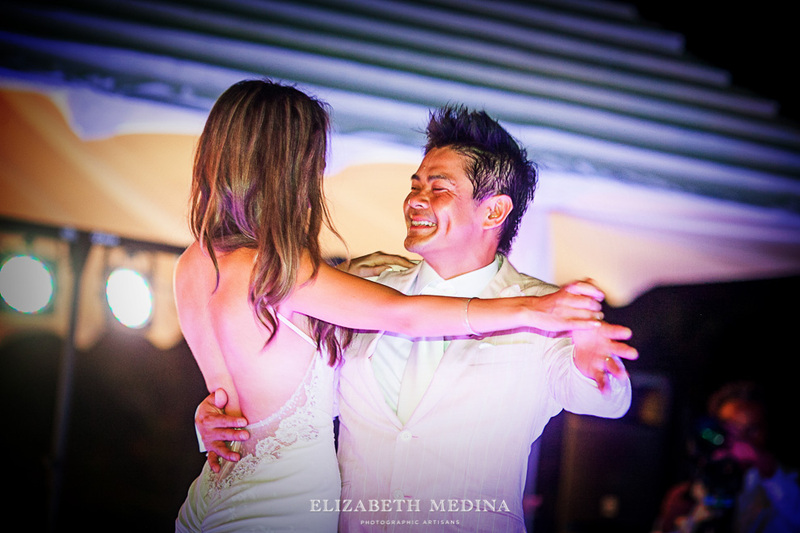 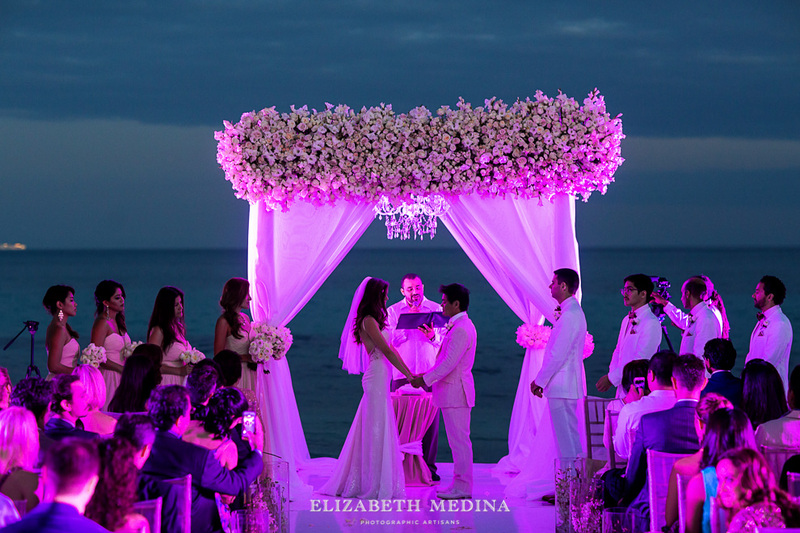 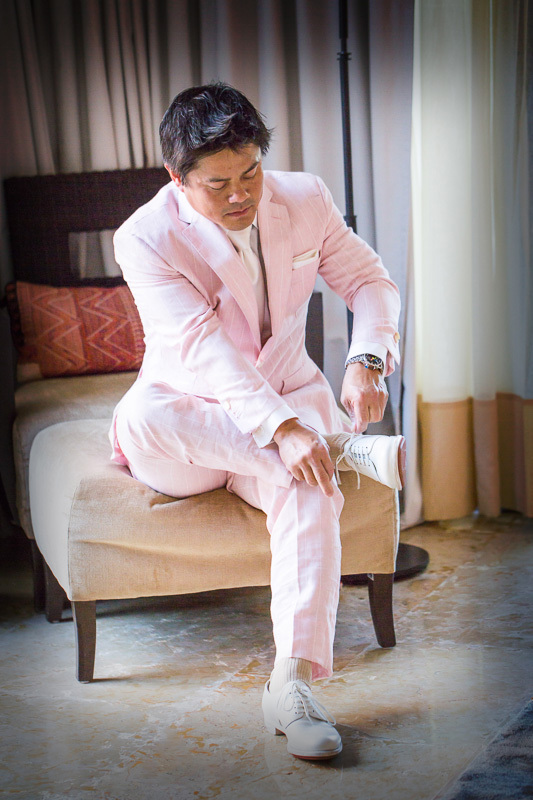 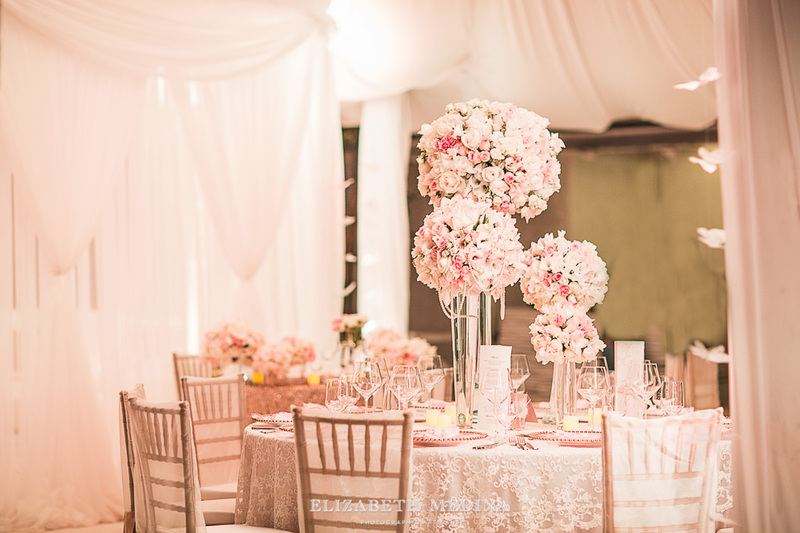 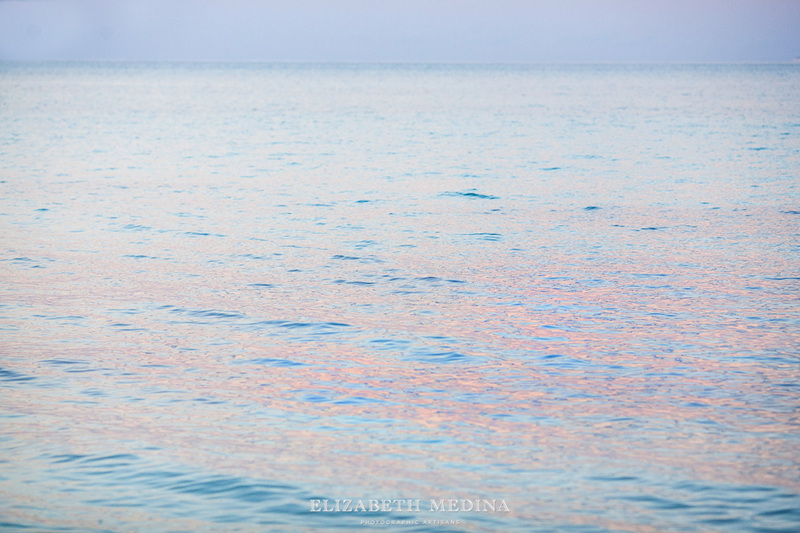 (c) 2014 elizabeth medina photography Mexico wedding photography, by Elizabeth Medina Photography. 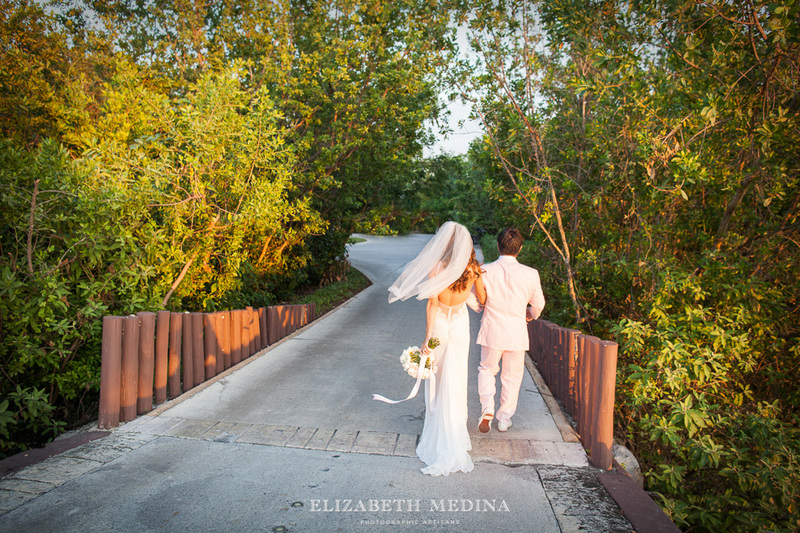 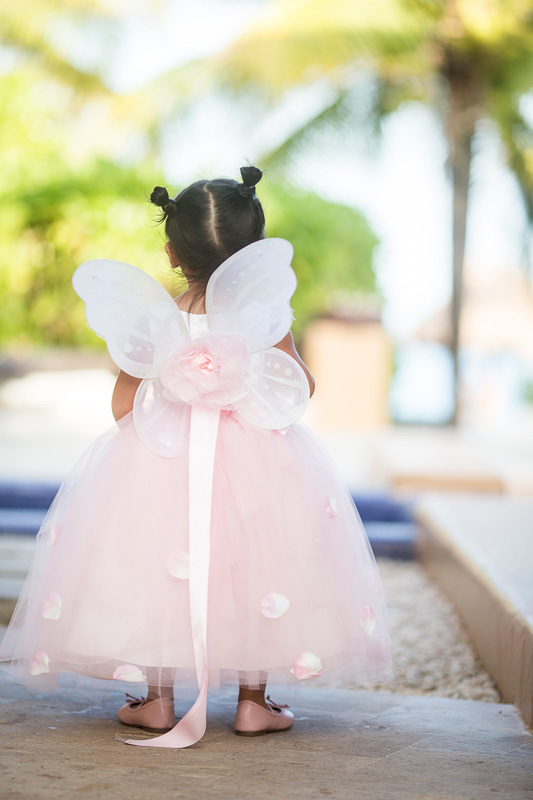 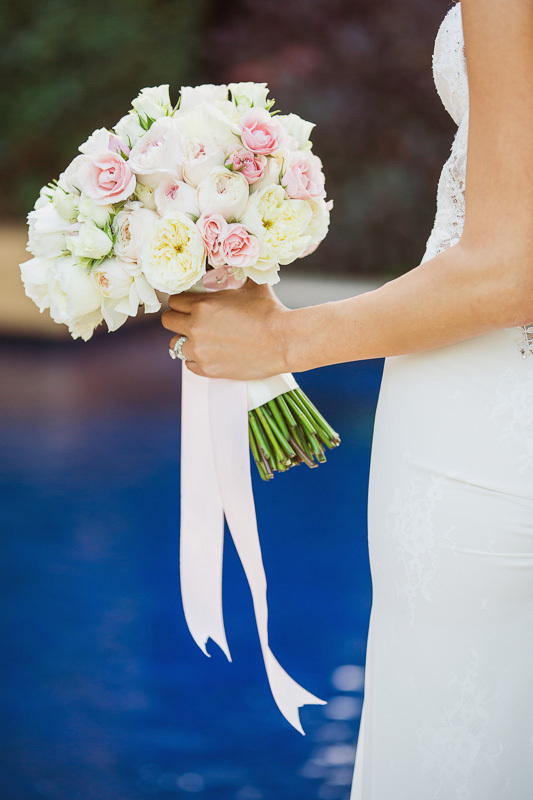 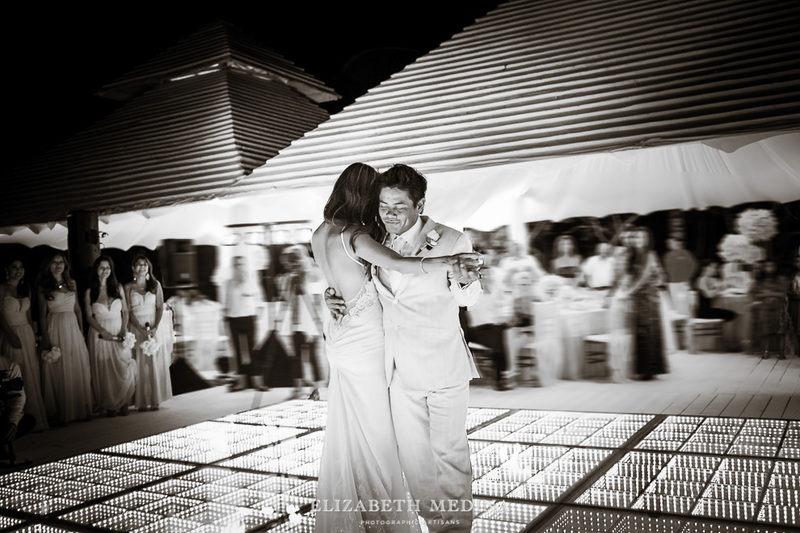 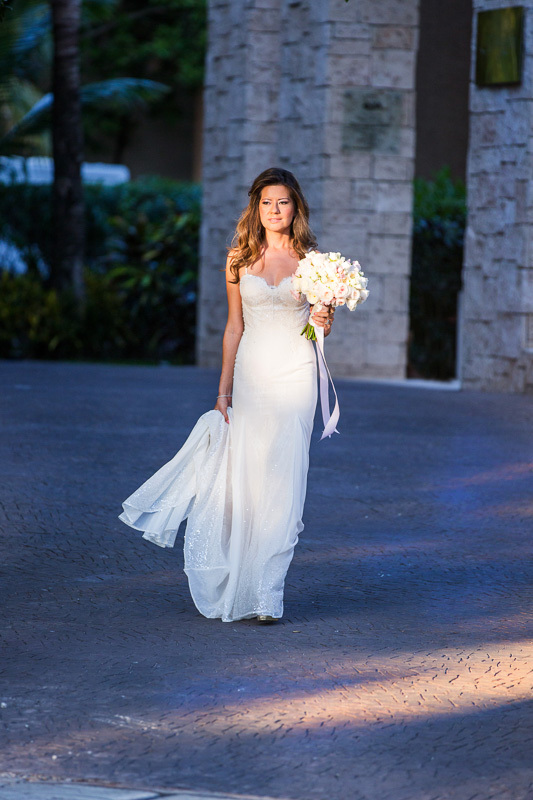 Destination wedding photographer, Playa del Carmen wedding at the Banyan Tree Mayakoba.